Singapore is home for me, but it is also the one place I tend to take for granted the most. I find myself feeling frustrated and uninspired a lot of the time. 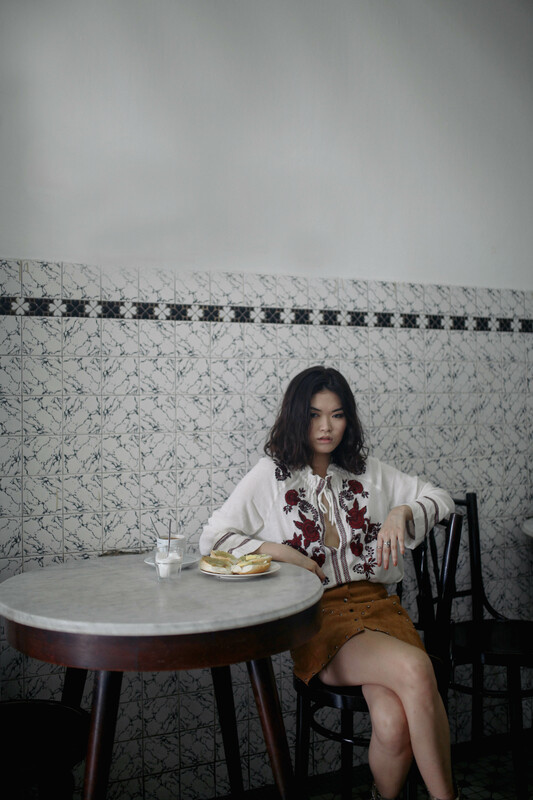 So when I got the opportunity to shoot a couple of looks with Free People, I thought it would be interesting for me to rediscover my city and fall in love with my home country again. This project was especially meaningful to me as I shot it with my family, my aunt and dad in particular, who put in so much to bring me to some of their own favourite places they grew up by. To say the least, Singapore surprised me again, and what I've rediscovered is only a tiny fraction of what it has to offer. 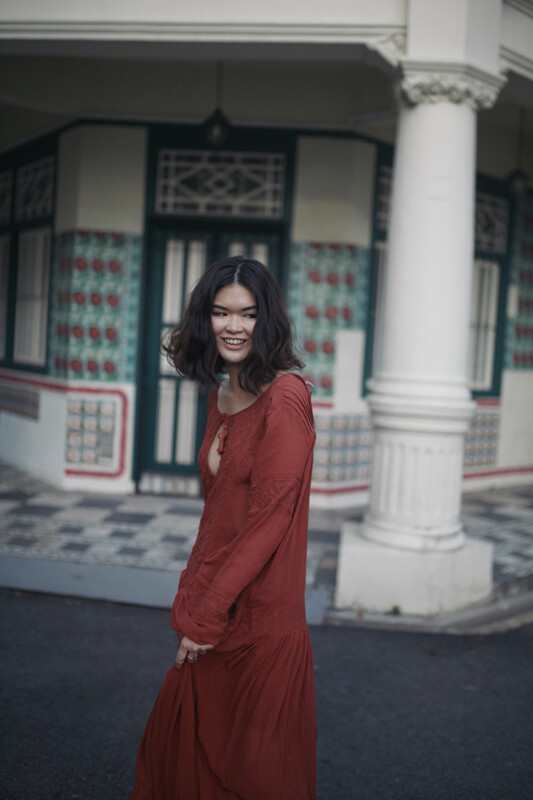 Despite the ups and downs I've experienced growing up here, there is no doubt that Singapore is my home and nothing beats being able to be sweat it out in a hawker center, eating my favourite cheap greasy food and being able to enjoy the company of the people who mean the most to me. I hope you guys enjoy this little guide to some of my favourite local spots. Chin Mee Chin confectionery in East Coast Road is an institution in it's own right- coming here felt like travelling back in time. The coffeeshop or 'kopitiam' as we Singaporeans call it, is one of the oldest in the area that has survived gentrification. 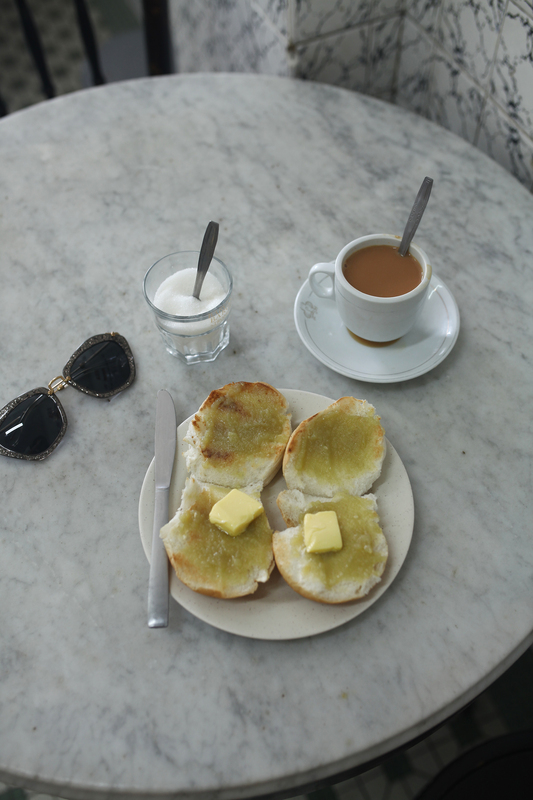 Serving old-school Singapore style breakfasts like kaya (coconut jam) toast, soft-boiled eggs, coffee, tea and other sweet treats from the counter you can choose from. Chin Mee Chin is located at 204 East Coast Road,opens daily from 8am to 4pm except on Mondays. I have always been obsessed with Peranakan architecture in Singapore, and whenever I discover a new neighbourhood with these beautiful shophouses, I am always left in awe at the meticulous detailing of the tiles that make them so special. These were taken in Petain Road, it was my first time seeing such a uniform stretch of Peranakan houses in Singapore as they usually differ from each other, always full of surprises. But I thought it was so beautiful anyhow. 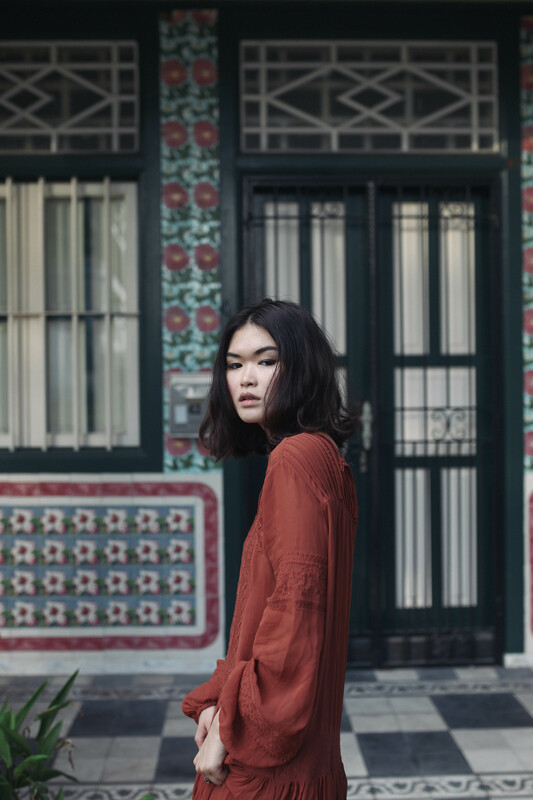 The Peranakan culture share great nostalgia and significance for local communities in Singapore. They are descendents of Chinese immigrants who came to the Malay archipelago known for embracing modern thinking way ahead of their time. 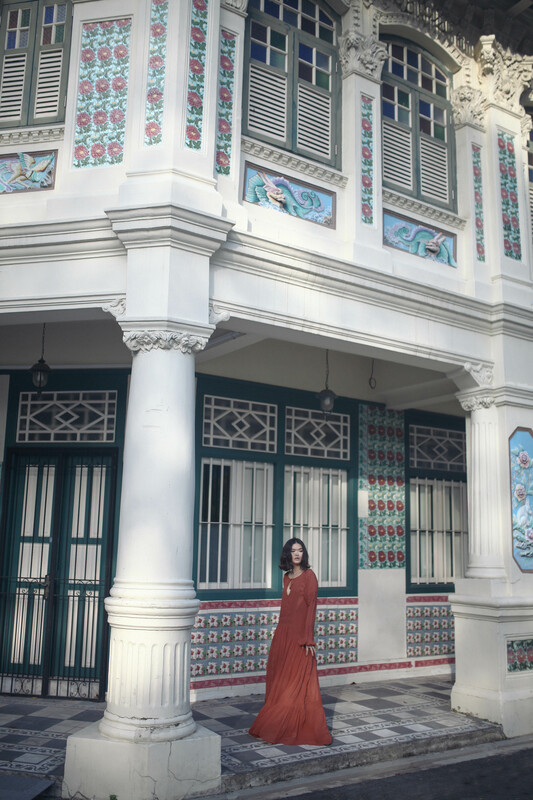 Today, many Peranakan houses are protected by the government and remain a crucial part of the Singaporean heritage. Other places you can find Peranakan homes in Singapore are in Emerald Hill and Neil Road. 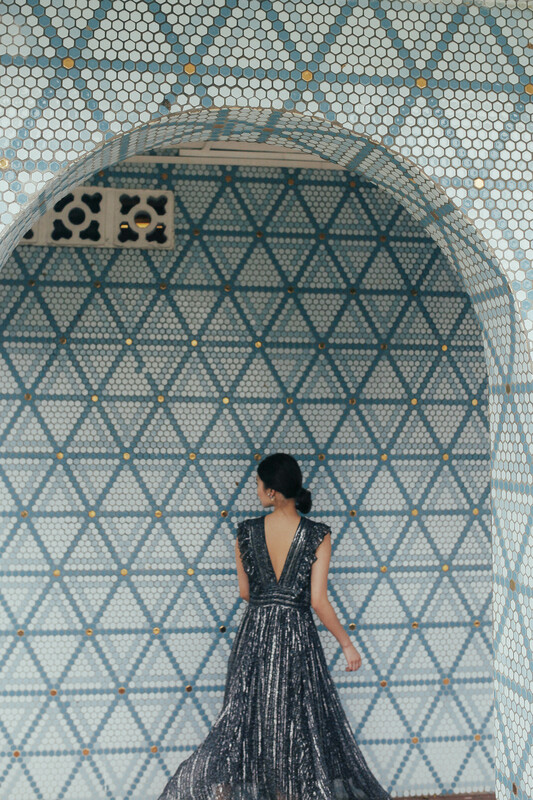 Anyone who has followed me on this blog knows about my obsession with Little India in Singapore. Not far off from Little India, you will find the stunning Malabar Muslim Jama-ath. This is the country's only Malabar Muslim mosque and it's bright blue tiles brought me back to my time in Morocco. I had always driven past the place but being able to actually see it up close really showed me how beautiful this mosque is and how it is a sacred place for worship for the Malayee community. Malabar Muslim Jama-ath is located at 471 Victoria Street, Singapore 198370. Chinatown isn't new for me, but simply exploring the neighbourhoods nearby really inspired me and I sometimes didn't feel like I was in Singapore but more like China in the 80s.. To see men on the corridor playing chess, watching TV, sipping their teh-o (tea). This was near Jalan Basar, and the area is filled with some of the most amazing hawker food and dim sum. You need to explore the area to find these hidden gems yourself! I had so much fun shooting this project, big thank you Lisa for giving me this opportunity to rediscover my homeland and to my aunt Jolene and my dad for taking the time to bring me around and shoot these images.